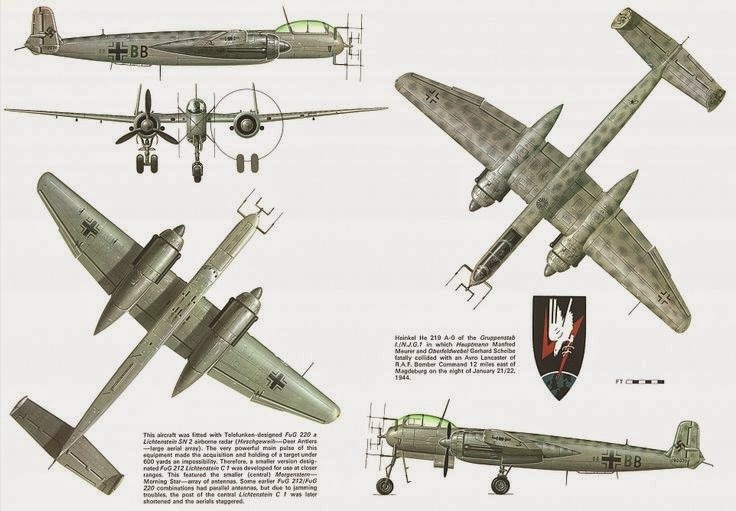 A consistent theme throughout our review of wartime Luftwaffe aircraft development by the Reichsluftfahrtministerium (RLM) is that it relied upon older designs past the point at which they maintained superiority over their foes. This is inexplicable given that the German aircraft industry had the best designers in the world. An He.219 training aircraft demonstrating the ejection seat. One obvious reason for this was overconfidence after the easy victories of 1939-1941. Another reason may have been the dangling prospect of jet aircraft, which always were just a little while away from being practical and would provide a quantum leap over the opposition. A third simply may have been that German industry was overwhelmed and there simply weren't enough men left in the factories (of which there weren't enough either) to start building every aircraft that showed promise. However, not devoting more effort and resources to the He.219 earlier in the process clearly was an error. 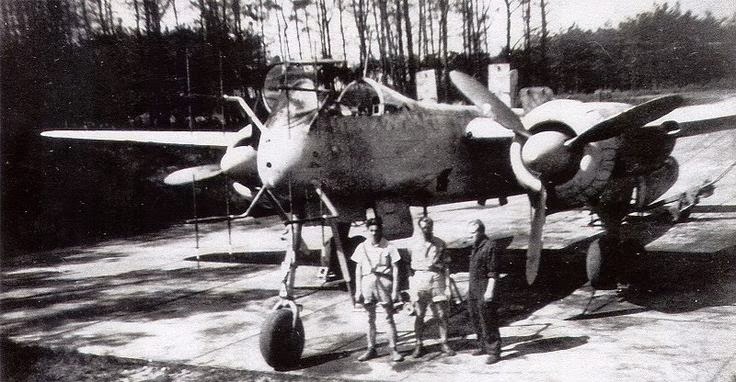 Heinkel He 219 Uhu fighter. 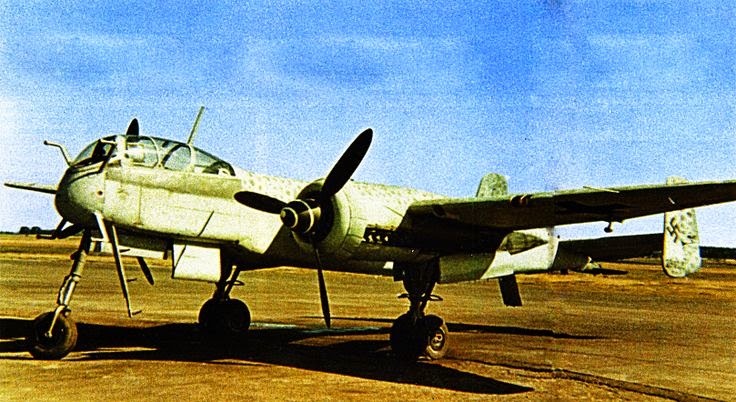 While the performance of the A-2 was not extraordinary — approximately 580 km/h (360 mph) speed — it was enough of an advance over the Messerschmitt Bf 110Gs and Dornier Do 217Ns to allow the aircraft to chase several bombers in one sortie. 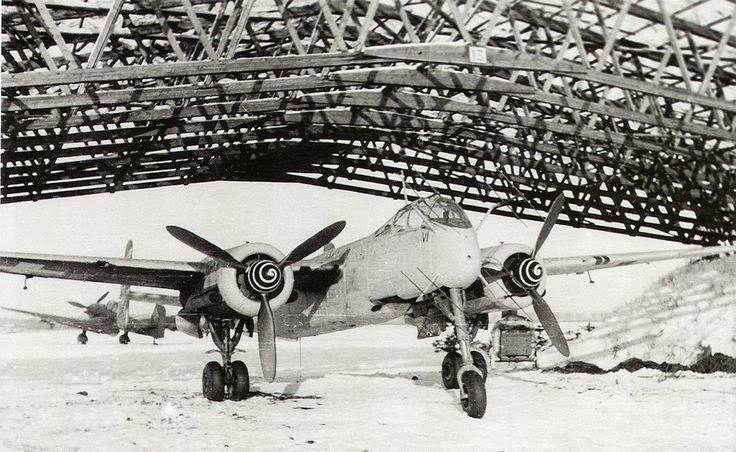 In order to combat the Mosquito, the He 219 had all excess weight removed. With some weapon and radio systems deleted, the aircraft was able to attain a speed of 650 km/h (400 mph). Whatever the reason, that tendency to keep using existing equipment until it became completely ineffective also affected the Ernst Heinkel A.G. development of the He.219 Uhu ('Owl'). This extremely capable aircraft proved to be one of the top night fighters of the conflict on either side, but its production run was stunted by delays and ultimate cancellation due to the war situation. Heinkel designers began work on the plane that turned into the Owl during the summer of 1940. It would be clever to say that they showed incredible foresight regarding the coming Allied bombing campaign, but in fact the He.219 was first intended as a reconnaissance aircraft. The RLM took little interest, and Heinkel was forced to proceed on its own dime, again a fairly common occurrence during those years. 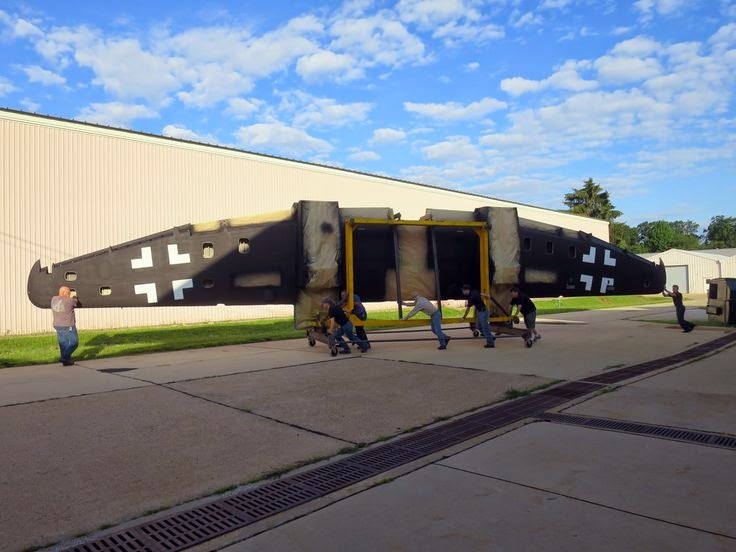 The RLM took notice of the plane, however, and correctly assessed the capabilities of the new design, even if it didn't want to pay for its development. 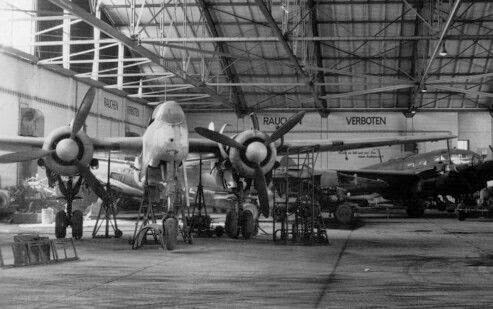 A directive went out to Heinkel to change the Owl into a night fighter, perhaps due to the growing Allied intrusions into Reich airspace. Once this was done, the RLM finally became interested during 1942. 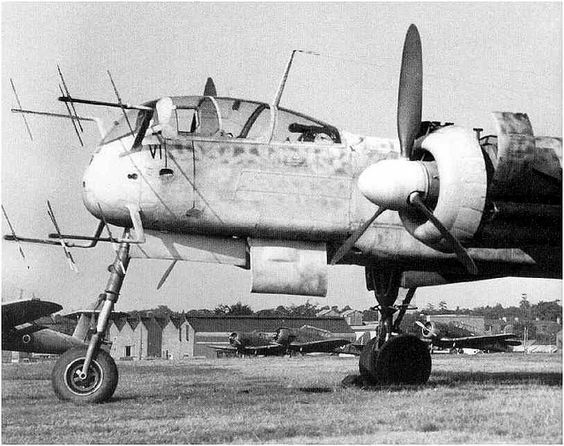 Heinkel He 219A Uhu (Night Owl) fighter. The A-2 featured an updated, 90 MHz VHF-band Telefunken FuG 220 Lichtenstein SN-2 radar system, complete with their larger, high-drag 4 x 2-dipole element Hirschgeweih aerials. It initially had less range than the C-1 radar, but improved accuracy and resolution and was also less vulnerable to chaff jamming through the late summer of 1944. The equipment of the plane evolved over time through the A-1 through A-6 subseries, and ultimately became the definitive A-7/R6 model. This version had two Junkers Jumo 222 A/B engines (which replaced Daimler Benz DB 603 A engines generating 1750 hp), which gave the Owl a fantastic top speed of 434 mph (700 km/hr). This was comparable and even superior in many cases to the fastest fighters of the day. The Owl had six 30 mm MK 108 cannons and two 20 mm MG 151 cannons, extremely heavy firepower for the day. The glazed cockpit gave the pilot and crew member a clear field of vision, which wasn't always the case in those days, and the crew even had the very first ejection seats. The He-219 also was the first aircraft to come with a steerable nose wheel. While not a jet aircraft, the Owl was a leap ahead of other piston fighters. 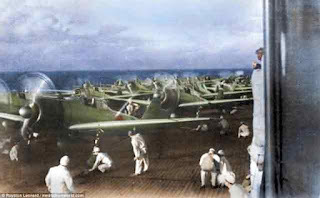 Development accelerated during 1942, and the first flight occurred on 14 November of that year, another in December. 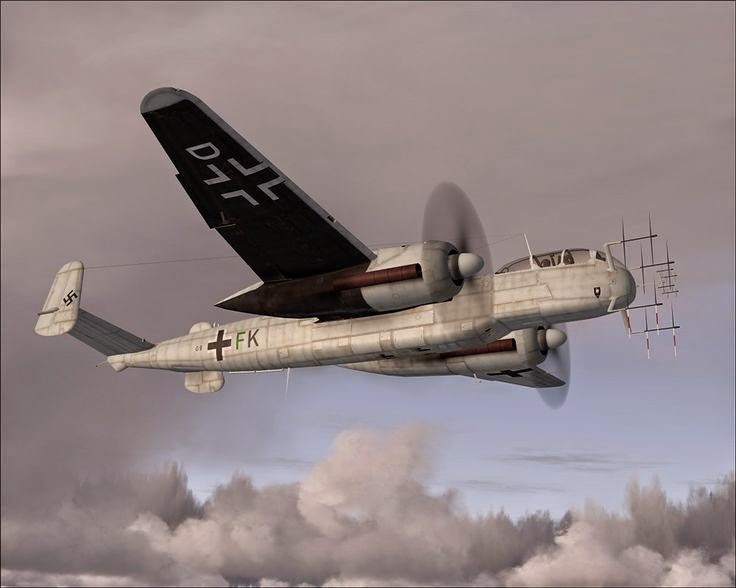 Evaluations were conducted through March 1943 against the Dornier Do.217 and the Junkers Ju.188, and the Owl was proven to be in a class of its own. An initial production order of 100 aircraft was tripled because of the plane's success during evaluation. 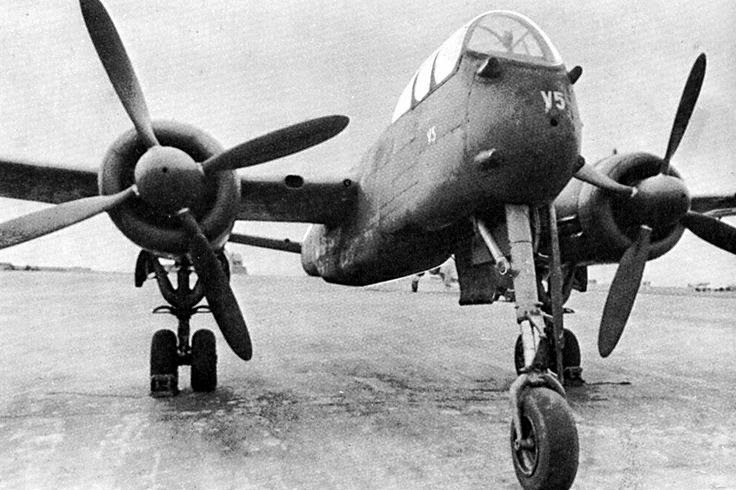 The first service version was the A-2. Meanwhile, the air war was heating up, with the British launching their devastating 1000-bomber raid on Hamburg at the end of May 1943. 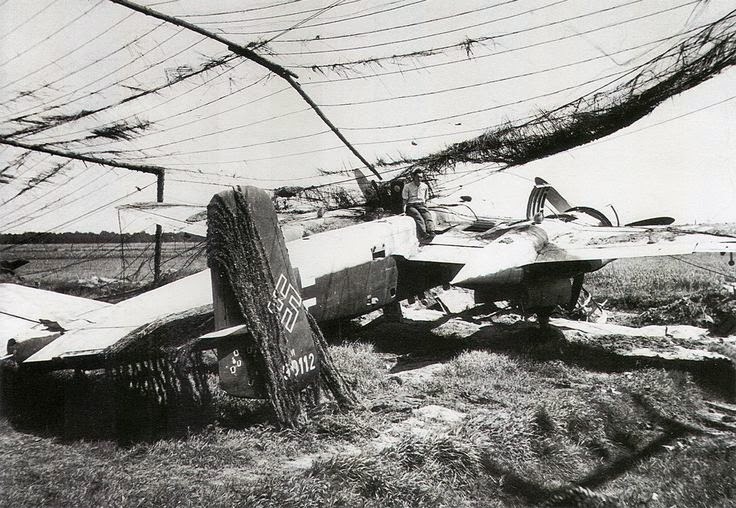 Pilot Werner Strieb took an evaluation version of the Owl up a week later, on June 11-12, and shot down five bombers in half an hour. Further successes followed in quick order. The Owl, with its fantastic speed, proved particularly adept at eliminating the pesky de Havilland Mosquitos, which the British were using as pathfinders for the growing British bomber command. Ultimately, fewer than 300 of the Owls were delivered to the Luftwaffe. They ran into the RLM's halt of bomber production in May 1944 for some reason, so deliveries ceased prematurely. 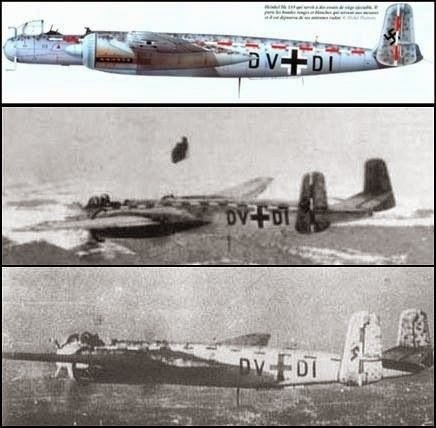 In addition, with the suicide of Hans Jeschonnek in August 1943, the Luftwaffe switched to a strategic orientation that caused it to lose focus on promising projects such as the Owl. However, equipped with FVG 27 radar, the Owls that entered service were extremely useful complements to the Bf.110 night fighter force. As with other night fighters, Owls were outfitted with the deadly upward-sloping “Schräge Musik” (Jazz Music) cannon. Given the their great speed, radar and stealth, the Owls were incredibly destructive. Opponents would marvel that once they snuck into a British bomber stream, they could shoot down multiple bombers in one sortie with a little luck. Heinkel He 219A2 Uhu fighter,WNr 290013, May 1944.